How can Santa deliver presents with this configuration? Or if (somehow) a spacecraft did visit the ISS now, how would someone be able to transfer into the ISS? What would the major steps be? If there are two options, highlight the major steps for each. Hopefully it won't be like Alec Baldwin transferring to the USS Dallas. Considering how all the usual docking/berthing ports at the station are occupied, Santa would likely arrive in a Dragon Crew/V2 or a Boeing CST-100 vehicle. These are the next US vehicles that will be manned and due for first launches in 2019. 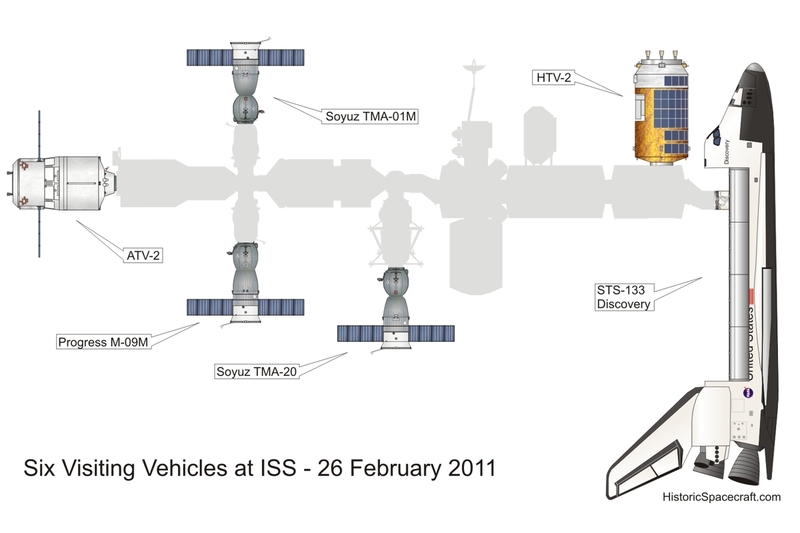 The Russian side uses their own style of docking port that Progress, Soyuz, and the ESA ATV vehicles dock. These can dock automated or manual and there are 4 of them on the Russian end of the station. 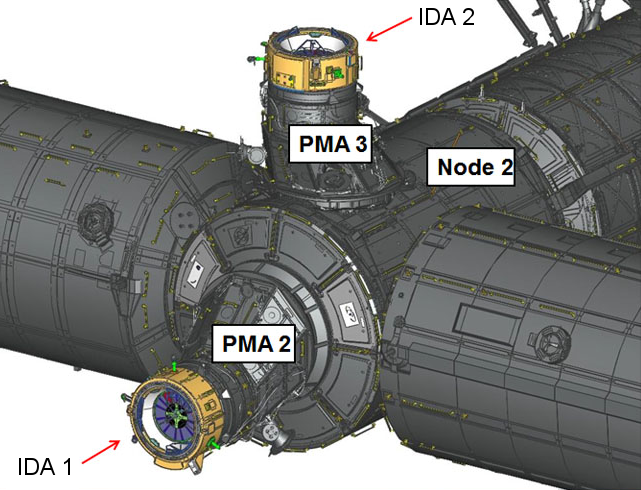 The two new vehicles will use the docking ports on PMA-2 (at the end of Node 3) or PMA-3 (facing upwards on Node 2). (PMA-2 is how the Shuttle would dock, and they added an IDA (International Docking Adapter) to it to allow Dragon/CST-100 to dock). These ports allow automated docking and undocking. So 2 docking ports are still open. Cargo ships are unmanned, so he would have to use a port that allows manned vehicles. A nice question showing the available ports is Will The ISS Need more ports? From that question, here is a nice picture showing one configuration from the past where most of the ports were occupied, like the picture in the question. That picture is from 2011. As of end of 2018, the up facing port the HTV is connected to will be PMA-3 for manned docking of CST-100/Dragon vehicles, and the Shuttle is docked to the PMA-2 port. 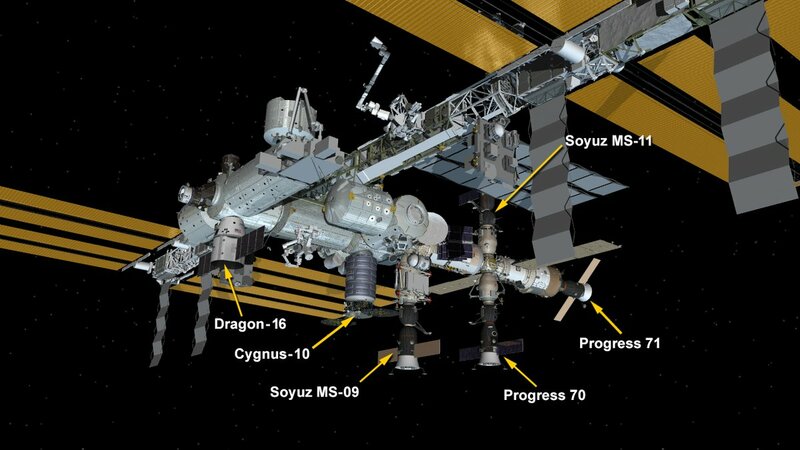 The lower port, just below the HTV is where the Cargo Dragon is currently berthed, and to the left of it, there is the old location for the PMM module that has since been moved to Node 3 (with the BEAM opposite it) make space for where the Cygnus is currently berthed. Look at Santa's sleigh. See anything resembling a docking collar? No?--then why do you think he has any use for a docking port?? It's obvious he gets there via EVA. The ISS airlocks aren't blocked. Given his normal speed of travel it's pretty obvious he's not simply breathing the ambient air as he flies anyway, it's perfectly reasonable to figure that whatever protects him in flight works outside the atmosphere as well. Not the answer you're looking for? 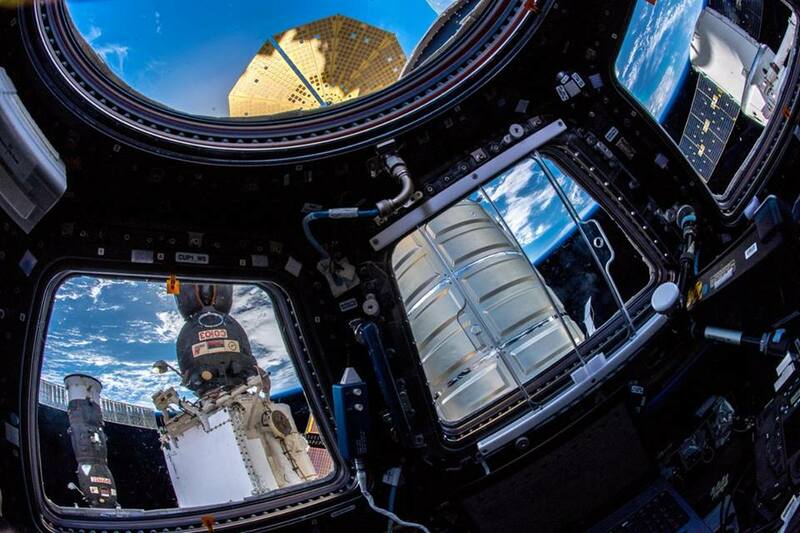 Browse other questions tagged iss crewed-spaceflight docking docking-port spacewalk or ask your own question.